We are so excited to introduce you to Joovy! Joovy speicalizes in products that offer parents amazing solutions for families on the go! They incorporates the highest quality features, fun designs and affordable pricing. I first found out about Joovy after I had my first baby, three years ago. I was looking to lose the weight I had put on during my pregnancy and thought I would find a jogging stroller that fit my needs. I wanted something that was sturdy, high quality and affordable. I read some reviews online and ordered the Joovy Zoom 360 Jogging Stroller. I didn’t know what to expect, but I was extremely impressed! 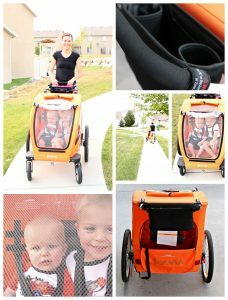 It was the smoothest jogging stroller I had ever tried! That stroller went everywhere with us! Even on the rocky shores of the beach! I trained for two half marathons and countless 5k’s with our Joovy, and then I found out there was another baby on the way two years later! 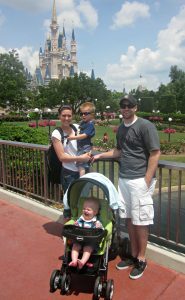 A year after our second little one joined us, we headed off to Disney World. As soon as we started planning the trip, I knew I needed to upgrade my stroller to something that would work for two kids. We loved our first Joovy so much, that I knew I had to have another! We ordered the Joovy Caboose Stand On Tandem Double Stroller and got it in just a few days! Let me tell you, that stroller was a lifesaver! There was a comfortable seat in the front for our youngest and a platform and small seat in the back for our oldest son. It was so nice that he could just hop on the platform when he was too tired to keep walking or sit down on the seat if he really needed a rest. 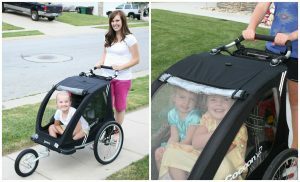 We had so many people stop us to ask about our stroller because it was perfect for outings with little ones. After we got back from Disney World, I decided it was time to get back in shape. My baby was now a year old and I still had a few extra pounds of baby weight to shed. I was so thrilled when Joovy wanted to team up with us to review their Joovy CocoonX2 Double Stroller! 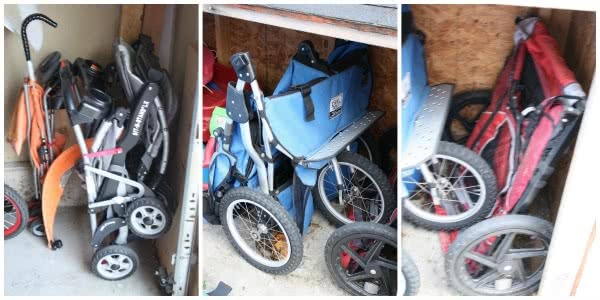 This way I could have a stroller that they both fit in that I would be able to jog with! Bye, bye baby weight! Camille and Kristen are both wanting to shed their extra baby weight, so they got in on the Joovy CocoonX2 Double Stroller action with me! Joovy has all the gear you need! Joovy has all of your baby needs covered from high chairs to walkers and baby slings to potty chairs! Be sure to check out Joovy for everything you need to make parenting a little easier! You can also follow Joovy on Facebook, Twitter, Pinterest and Instagram! LOVE Joovy! I have the caboose tandem as well. 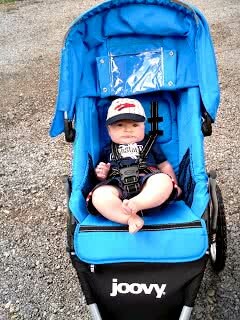 Hands down my favorite stroller! With 6 girls I have been through some strollers! I just might be an expert! LOL!! 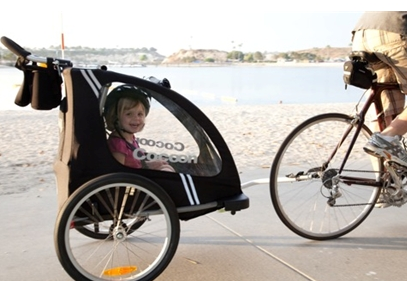 Color combination in the joovy cocoonx2 double stroller is attractive and also make it more amazing due to the facility to use it as a bike trailer too so kids also enjoy the bike ride.